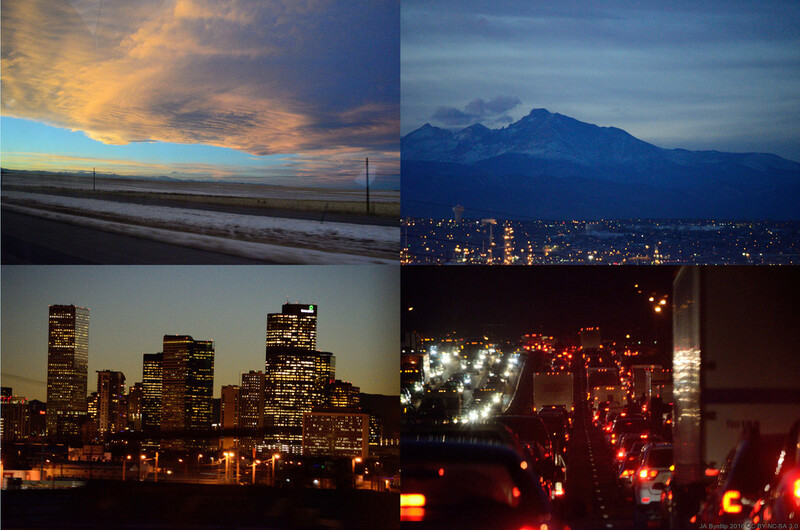 I wasn't driving so I got to enjoy the view of the city, traffic, the sunset and (I think) Long's Peak. Oh Denver traffic, I try to stay out of it as much as possible. Great shot of the city lights and the amazing sky that day!